Throughout the past year the Silver Fox Audit team from FM Contract Watch have carried out a series of unannounced audits to independently test the Ultimate Security team contracted to Moor House Management Services Ltd. Savills in the City of London. 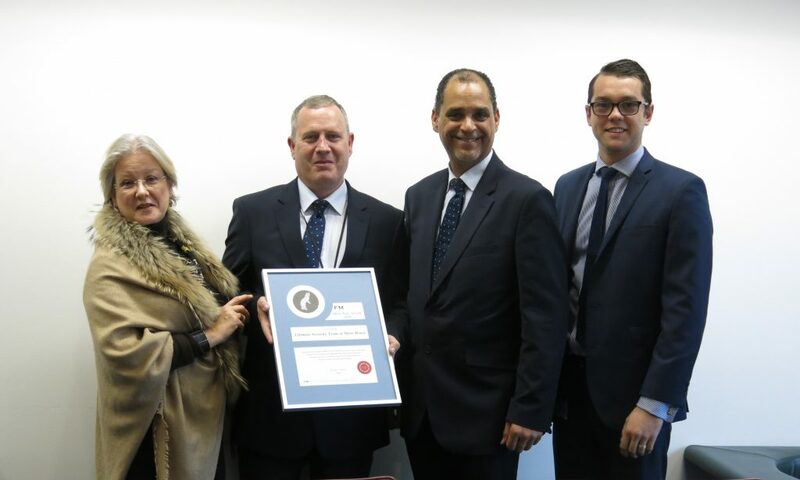 On 16th November, Lynda Moore, Managing Partner of FM Contract Watch presented the 2018 Silver Fox Certificate to two members of the Security team, David Nicholson and Gary Cobham, in recognition of the excellent results achieved by all the Officers who passed every audit, reaching 100% on 3 occasions. Madeleine Pugh, Operations Manager, for Moor House was delighted with the results and congratulated the Security Officers on their outstanding success. L – R Madeleine Pugh, David Nicholson, Gary Cobham, Mike Harding.